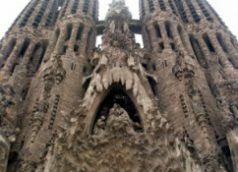 Having visited Barcelona various times while living in Spain, it is an absolute must in your European or Spanish travels. 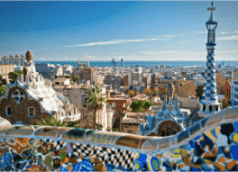 It is nothing short of an artistic mecca of architecture, fashion, cuisine, music, and nightlife with a proud Catalan signature style. It is not at all surprising that world renowned Dali and Picasso found inspiration. Am I a Fair Weather Traveler? 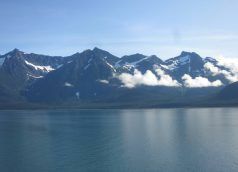 Coming to you from Juneau, Alaska, now in my fourth “summer” month, I say NO! I’m certainly not a fair weather traveler. However, I would be beg to differ on the word “summer” in describing Alaska’s weather. You must remember that I have been tainted by South Florida’s seasons (aka only one season-really balmy). But,. I’m a repeat offender when it comes to all things Spanish. And, although very distinct from Castilla and Madrid where I lived for two years, I was impressed each and every time I visited Barcelona. After various visits, I think Barcelona is absolutely wonderful, vibrant, artistic, and culinary hotspot (Really great tapas and cava on.